If you’re facing a military criminal charge, you may feel confused, frustrated, or angry. Your experienced Long Beach, California military defense attorney can help you navigate the charges and seek the best possible outcome in your case while also protecting your legal rights. Be ready to answer questions. To represent you well, your lawyer will need background information. He or she will probably ask you many questions, including questions about your living situation, work, and character. Your attorney will also ask about the events that led to the charges you face. 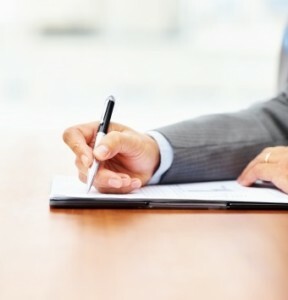 You can prepare for these questions by writing down all the details you remember surrounding your case and bringing these notes to your meeting. Prepare your own questions. Write down the questions you have for your attorney. Common questions to ask at the first meeting include questions about your legal options, the potential outcomes for your case, and legal fees. Organize documents and evidence related to your case and bring them with you. Bring all documents you have that relate to your case, like arrest paperwork if you have it. Include items you believe could be used as evidence, like letters, photos, emails, or videotapes. If you don’t have a piece of potential evidence, but you know where and what it is, write down the details for your attorney so he or she can pursue the item if it is relevant to your case. Listen to your attorney. After talking with you, your lawyer will probably have some advice for you. He or she may advise you, for instance, to avoid certain places or certain people. Take notes on this advice and follow it. For dependable legal advice, contact The Law Firm of Joseph H. Low IV today. You can reach us at our toll-free number (888) 454-5569.